Check out our Letter C book list! We’ve included 10 great books, including fiction and nonfiction, to reinforce your child’s love of the Letter C! This is a classic book that your children will adore! Eric Carle uses simple text and beautiful collage illustrations to tell the story of the life cycle of a caterpillar. My children especially love all the food the caterpillar eats, complete with tiny "eaten" holes in the pages. Not only is this a great book to read when learning the letter C, it can also reinforce concepts such as the days of the week, numbers 1-5, fruits, colors, and so much more! In addition, you can find it in both board book style for smaller readers and traditional paper or hardback covers for older readers. Overall, this is a wonderful book and an awesome addition to your library collection. This is another fabulous book with simple and repetitive text. 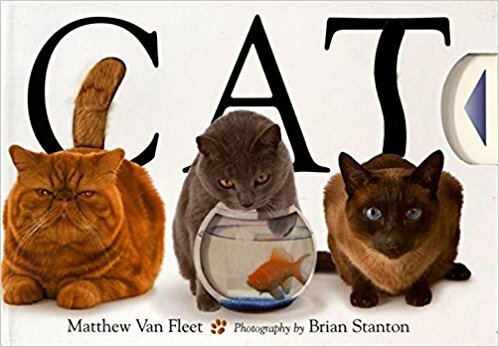 It describes a cat through the eyes of various animals, including a fox, fish, mouse, flea, snake, skunk, worm, and more. The cat’s appearance changes on each page to mirror the creatures’ descriptions—shifting from very skinny to very large, colorful, dotted, black and white, and the list goes on. Kids love the surprise of each new page. Use it to reinforce the letter C, learn about different animals, or to discuss what it means to see from a new perspective! Get ready to laugh with this text! The story begins with a farmer who has a problem—his cows can type! Using a typewriter they found in the barn, those cows begin sending the farmer typed notes full of humorous demands. With multiple sound words and phrases like “click, clack, moo,” throughout, this text is a delight to read aloud, and everyone will be sure to laugh at the ending! If this is the first you’ve heard of Laura Numeroff, hit up your local library for a bunch of her books! She is a fabulous author who creates fun and engaging text—perfect for kids. 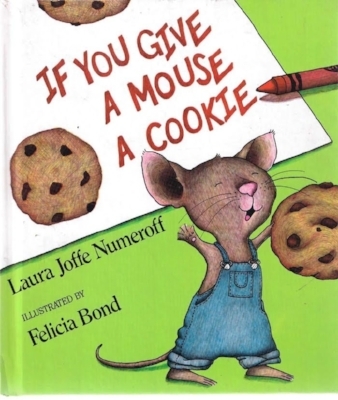 In her book, If You Give a Mouse a Cookie, a small mouse is given a cookie. This leads him to make many more requests—resulting in naps, cleaning, and a giant art project! In addition, the illustrations are rich with color and detail. And if your children enjoy this one, she has several more in this series to enjoy. Don’t miss out! Creepy Carrots tells the story of Jasper Rabbit, a carrot-loving bunny. When Jasper’s carrot-obsession tempts him to take carrots from a nearby field, his imagination takes off running, and he’s convinced the carrots have come alive to haunt him! The story is suspenseful and great for children who are up for a little scare. Peter Brown’s illustrations add to the overall mood and feel of the book, completed in grayscale except for the the bright orange of the carrots. All in all, this is a fun story to read for both children and their parents. If your child loves cars or anything transportation related, this book will likely be a favorite. It’s chock-full of descriptive words, colorful and interesting pictures, and engaging text. From more traditional police cars and tow trucks to a hundred-feet car, rock-n-roll car, solar car, and even a man-sleeping-in-his-bed car, there is no shortage of variety and interesting detail in this fun book. This story tackles a very real problem: four animal friends with only three cookies between them. The characters are hilarious and engaging, and the book is punctuated with exciting dialogue and speech bubbles throughout. An added bonus are the opportunities to practice counting and early division, not to mention the chance to discuss equality for all. Overall, this Willems and Santat team-up is a terrific book for your shelves. Whether or not your child is a cat lover, this book is sure to be a hit. It is an interactive text, complete with things for your child to pull, open, and slide, various textures to touch, moving parts to watch, and even a squeaker! Its many surprises will delight your little one. The text is also simple enough for young children to enjoy without losing interest. If that weren’t enough, the book is also packed with actual photographs of cats, showcasing the great diversity within the feline world. Though it’s not heavy on cat facts, it’s still a really fun and interactive read. The National Geographic Readers are a fantastic way to research new topics with your little ones. Caterpillar to Butterfly both explains and shows the caterpillar to butterfly transformation, combining fabulous photos with kid-friendly text. Consider adding this book to your collection—as a Level One reader, it could soon be a book your child will be reading on their own! 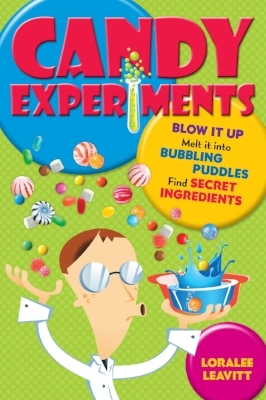 Rather than simply seeing candy as, well, candy, this book encourages kids to take a look at their favorite treats as “scientific detectives” would—scientific ingredients! Stuffed with experiments using M&Ms, candy corn, marshmallows, taffy, and even soda, this text allows you to have tons of fun with your children and use up all that leftover candy that's driving you bonkers. It’s organized into various types of experiments, with groupings such as Secret Ingredients, Color, Blow It Up, Squash It, and Dissolve This. And for those of you non-sciencey parents, never fear. The experiments are fun and engaging, yet simple enough for even the biggest science-a-phobe to complete. That and each experiment also ends with an brief explanation of “What’s Happening,” which exposes kids to even more science vocabulary. With so many experiments to pick from, you and your child will be sure to find something that works for you! 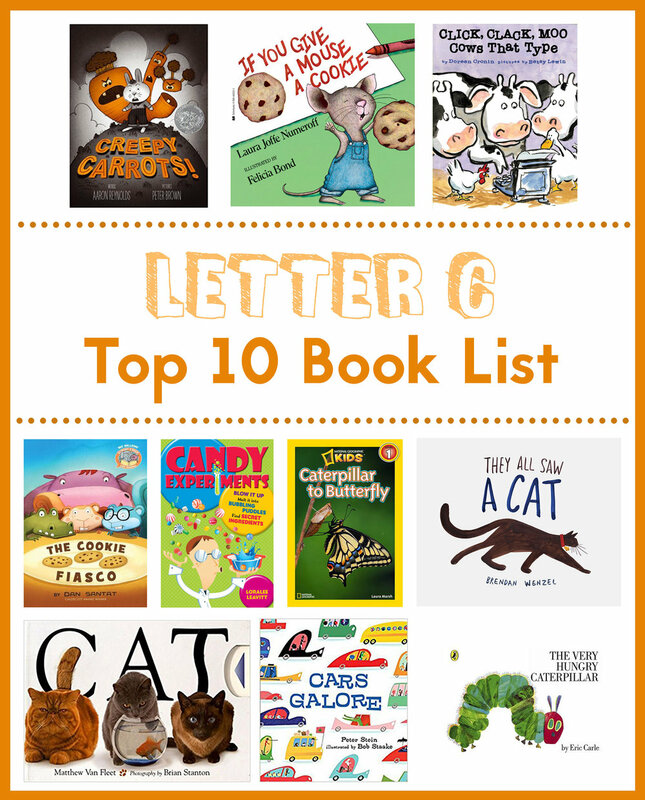 We hope you’ve enjoyed our top 10 books for the Letter C! For more letter-themed ideas, including letter-themed crafts, snacks, and activities, check out our letter blog posts, like the Letter C post. And don’t forget to subscribe, so you can be the first to see our future letter book lists!! We've got a lot of fun letter C ideas for you! Try some of these crafts or activities to reinforce the hard letter C sound. Snowed in? It's time for snow ABCs! Fill any empty container (water bottles, old ketchup, syrup, or even spray bottles) with water and add a couple drops of food coloring. Then bundle up and let your kids decorate the snow with letters! If your child doesn’t have the fine motor coordination to make letters, let them create art while you create letters. It’s a fun way to brighten up the snow and practice letters and sounds! "C" is for Caterpillar! Turning letters into animals or objects is a fun way to reinforce letter sounds. This cute caterpillar is an easy and fun craft to make with your kids or your students! Winter is a great time to make ice mandalas. Why not make them educational by creating letters? Throw on a coat and boots and collect some natural materials (sticks, pine needles, berries, etc...). Then grab any Tupperware-type containers (we used small round ones), and use the found materials to create letters in each bowl. Add a string and enough water to cover your letters, and stick the bowls in the freezer. Once frozen, hang them in a tree! Not only is it beautiful art, it's a fun way to practice letters and words! C is for CAT! Make this adorable cat craft with your little ones or students, and practice the letter C sound! 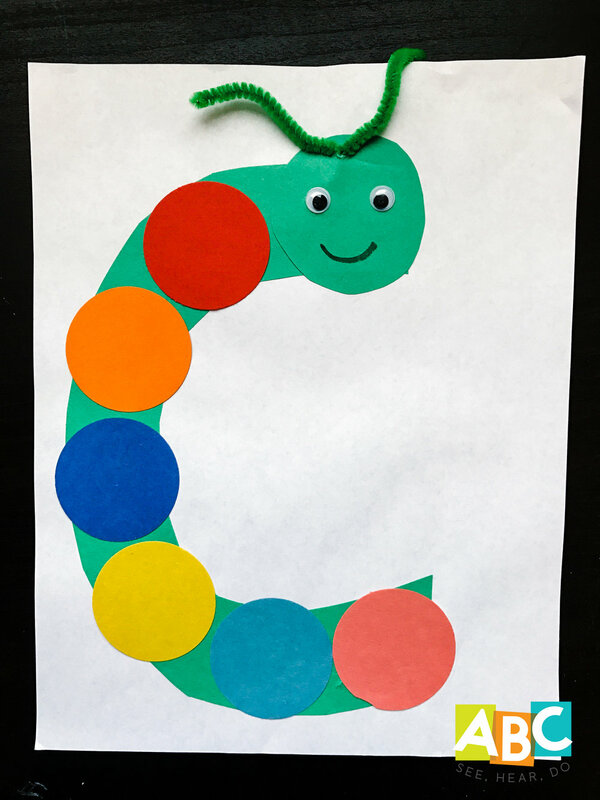 Make this yummy caterpillar snack as a fun way to practice the letter C! Skewer grapes for the body and carefully add a raspberry for the head. Then enjoy your snack with your little one! Make sure you subscribe so you don't miss out on more fun letter crafts!